Don’t assume all your ‘junk’ is really junk. Find out how to repurpose old household items to use in your garden. Even though the USA is home to just five percent of the world’s population, it produces 30 percent of global waste. That scary statistic means that despite significant advancements in waste management, every one of us needs to do whatever we can to minimize the amount of junk we throw into the trash. Landfills negatively impact the environment in many ways: they release large volumes of methane, destroy habitats, and can cause human illness. Plus, they waste the finite amount of recyclable resources we have. Of course, not everything is recyclable, but you can often donate, sell or repurpose stuff that looks like old junk. We believe we can make a sustainable world by salvaging junk rather than throwing it into landfills, and it starts by taking action as individuals. Americans could recycle half of everything they throw away, so you can see the impact it would make if everybody did their best to repurpose junk whenever possible. Is Your Junk Really Junk? The world looks to the US to set an example in responsible waste management, but we’re seriously lagging behind many European nations. 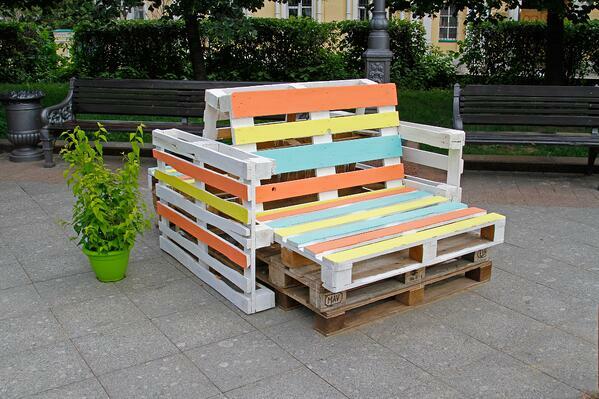 Instead of throwing old household items into the trash, repurpose them to use in your garden. Depositing large crates at a recycling bank is far from convenient. Instead of throwing pallets into the trash or letting them rot, you can turn them into vertical planters. Fasten a sheet of garden mesh to the back of your wooden crates. Fill each section of the crate with compacted soil. Plant your choice of flowers and fauna into the soil and water as necessary. Sit back, relax, and wait for your mini vertical garden to blossom. Americans throw away up to 1 billion trees’ worth of paper and wood every year, so this is a good way to reduce your carbon footprint. You can use old newspapers to protect your plants from frost during the coldest times of the year. Most plants need nutrient-rich soil, plenty of sunlight, and water to thrive, but they don’t always need ceramic pot homes. If you think outside the box, you can turn ‘junk’ into unique flowers beds. Use old spoons and cutlery to make avant-garde wall hangers. Transform an old chest of drawers into a miniature, multi-level garden. Plant flowers in cleaned out paint tubs to line the side of your home. If you want to go the extra mile, you can help reduce the 30 to 40 percent of food that goes to waste in the US by turning your leftovers into compost for beautiful, healthy flowers. Fill a wire frame with old glass bottles to create a quirky outdoor table. Use old bicycle wheels to create an artistic frame around your flower bed. Turn worn wellies into colorful floor decorations. Draw paintings on metal bins and have flowers grow from the top. You can find more artistic ways to turn junk into garden features along with pictures here. 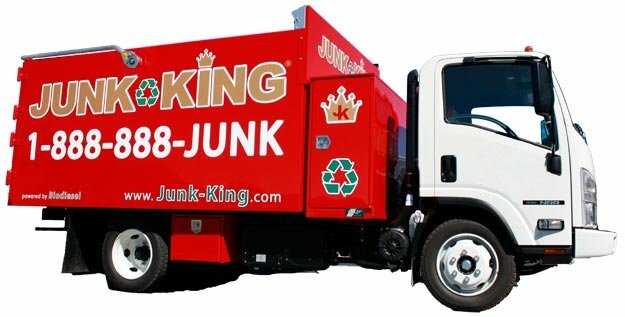 At Junk Kings, we understand that finding time to transform old junk into decorative garden features can be time-consuming when you’re spring cleaning your home, but you can still recycle as much as possible by having our friendly professionals retrieve your waste from your home. We salvage up to 60 percent of your junk by recycling, donating or repurposing, so contact us today on 1 888 888 JUNK to go green without lifting a finger.